Ever wondered how to write the JAMB CBT examination? Don’t worry, here’s a detailed review with pictures, which contains the step by step detailed procedures of the JAMB Computer Based Test Tutorial! We’ll be sharing with you, how to write jamb cbt examination here on Dailyschoolnews Nigeria. Today, we’ll be showing you, the simple step by step guidelines on JAMB Computer Based Test Tutorial. This step by step tutorial will help all our readers/candidates who are frightened of JAMB Computer Based Test, they keep asking themselves how the examination will be or looks LIKE. How will the JAMB Computer Based Test will look like? Will can I be able to pass the JAMB CBT examination? How can I answer the jamb cbt exam questions? How can I use Computer to answer JAMB questions? What the requirements and step by step guide on how to use a computer in answering jamb questions? How can I pass the jamb cbt test without cbt knowledge? What will be on my computer screen, onceI enter the jamb exam hall? What should I do to pass this forthcoming jamb examination? How is the nature of the computer-based exams in jamb? How can I write cbt jamb exam?. This tutorial here today is for all candidates who will be writing the JAMB computer-based testing (CBT) in the forthcoming Joint Admission and Matriculation Board – Unified Tertiary Matriculation Examination (JAMB-UTME) 2019/2020 exercise. Please, do take note that this guidelines contains the procedures, with pictures included, of using the computer in answering questions during the examination. Please, do take out your time and study this step by step guidelines carefully and it will go a long way to helping you prepare and tackle the JAMB Computer Based Testing! Not to mention, it will also help you, in saving your time! Take a look at the picture below and take note of all the labeling which we’ve done! This is a sample screenshot of JAMB CBT screen when you’re about to write the examination! Make sure that you study the features very well because it’s important! Please take note that the above photo displays the hypothetical examination testing panel for JAMB Computer Based Test. By clicking on the above picture, you’ll see clearly, that the above image highlights several buttons which circles around important texts, and you must get full knowledge about this and what they stand for. Step 1: Using this platform, we wish to notify candidates, that they should please, arrive at the examination venue on time, be there before the examination time, please. To avoid unnecessary issues that might arise. Step 2: We also advise all candidates to please, sit on a system in an upright position with examination mood. (a) Subject area: where the subject taken is located. (c) The remaining time you have for the examination. (d) We advise all candidates sitting for the examination, to ALWAYS check the time lapse and time remaining to be able to complete the exams on time, be aware of the remaining time, will surely help you answer questions faster. (d) Instruction area: This is a place, where candidates can go and check the instructions pertaining to the exams. 1: You should make sure, that you put the heel of your hand on the table in front of the mouse. 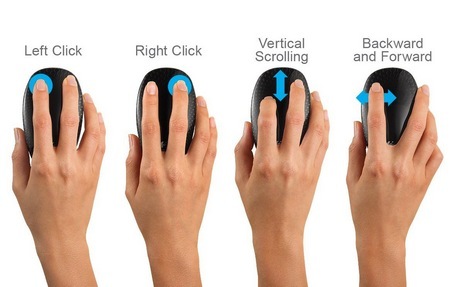 Then Hold the mouse between thumb and the ring fingers. 2: You should also ensure that you put your index finger on the left mouse button. 3: Please, make sure, that you move the tip of the arrow onto the underlined two. The arrow will become a pointing finger on the computer screen. 4: Take note that the arrow automatically becomes a pointing finger, to answer the questions, simply hold the mouse still and lightly click the left mouse button with your index finger or any finger that makes it easier for you! Our goal is to get you, to use the mouse easily and very fast to rightfully answer all questions. To successfully answer CBT questions, you’re required to slide the computer mouse to the running mouse. Slide the mouse sideways. Then, click on the running mouse. The circles below are radio buttons, which is always used in computer examinations, also implemented in JAMB CBT questions. Do use the below radio buttons as examples. The below buttons will be used as illustrated in the exams panel above, to select the correct answer. Click on any of the 3 circles/buttons above to test their functionality. Most times, the questions which come out in the computer-based test are in the multi-choice format. Which is also known as the ‘multiChoice Question’. This is a platform, where candidates who are writing the examination, will be required to pick the correct answer(s). Here’s a perfect example of how the multi-choice question works. After that, you should then click on the radio button with a mouse, or Use the Tab Key (which is in most computers, the first button in the third line) to move through the options and then pressing the space-bar to select an option. Take note here, that only one radio button can be “on” at the same time, you can select only ONE answers. For you to proceed to the next page/question, on the Next button which is located under each question. 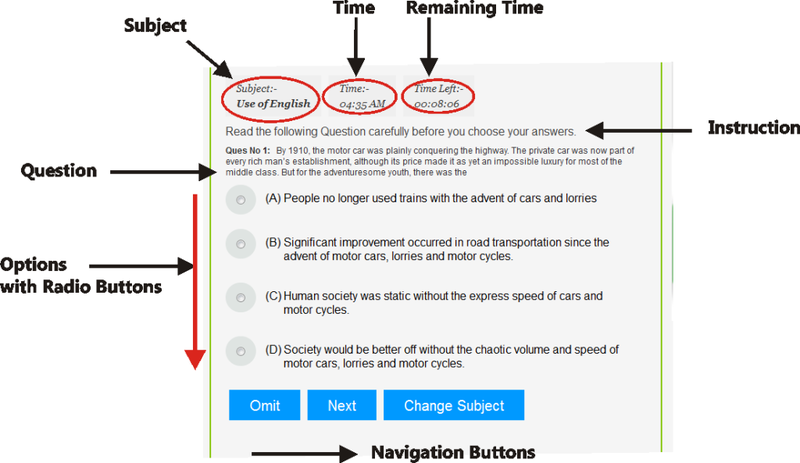 After selecting the best answer to the question, to save time, you should proceed and click the NEXT button to go to another question until you are through with every question. You can still omit or skip any question which you are not familiar with, or you don’t know the answer to. You still have the option of coming back to answer the question! I sincerely hoped, that this tutorial of more than a thousand words, help you understand the basis of writing the JAMB CBT examination! Please do share this information with your friends on Facebook, Twitter, and Google+, using the share buttons below!